At ALDERBROOK Plumbing we provide a full range of regular maintenance and inspection services. Our trusted staff have OVER 30 years of industry experience, therefore your plumbing issues will be diagnosed and repaired quickly and effectively. Our preventative maintenance and inspection services will ensure your current plumbing issues do not become more complicated further down the track, saving you time and money. From water leak detection to tap repairs and general servicing, we provide a full range of plumbing solutions. For regular service and maintenance solutions, call the team at Alderbrook Plumbing so your problems don’t become an Emergency. Once a major problem with your plumbing or sewer, water and gas lines occurs, it can cost you thousands of dollars to repair. Don’t let that happen to you: get on one of our preventive maintenance plans. It’s a small investment that will go a long way toward ensuring your peace of mind. 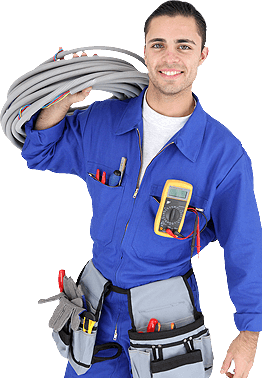 We can perform an inspection of your whole house or place of business and evaluate all of your plumbing and heating equipment. Our service technicians will conduct a full inspection of each item, scheduled at your convenience, noting the date, model or serial numbers and other important information about the pipes, drains and equipment. If you notice your pipes are slow to drain or are repeatedly clogged, you may be experiencing a serious drain problem deep within your pipes. We can use video inspection to pinpoint the trouble spot and visually confirm the cause of the problem, such as an intrusion or a crushed, cracked or misaligned pipe, and verify the condition of a cleaned pipe to ensure the proper solution has been applied. Stop problems before they start and prevent unnecessary expense.